Our Budding Boomers documentary is ready just in time for 4/20. Please enjoy and share it! The phrase “cannabis farmer” doesn't suggest thoughts of Baby Boomers but change is in the wind! Cindy and Larry, both in their sixties, are prime examples of a growing trend in cannabis farming. A decade ago, they probably would have laughed at the suggestion of personally growing cannabis. Now they are cultivating their own bud. About ten years ago, Cindy found herself struggling with debilitating health issues that were only exacerbated by prescription drugs. Then a relative gave her a small bit of cannabis to try. Within days, many of her symptoms were alleviated to a point that even her partner, Larry, noticed the difference. From that point forward, she began relying on cannabis as a more healthful and effective alternative to prescription drugs. Both Cindy and Larry had used cannabis for fun in their younger days but employer drug testing forced them to forego it through most of their adult lives. Now, in addition to discovering cannabis as a medicine and taking all steps necessary to be compliant with Oregon's Medical Marijuana laws, they recognize the injustice of Federal prohibition. 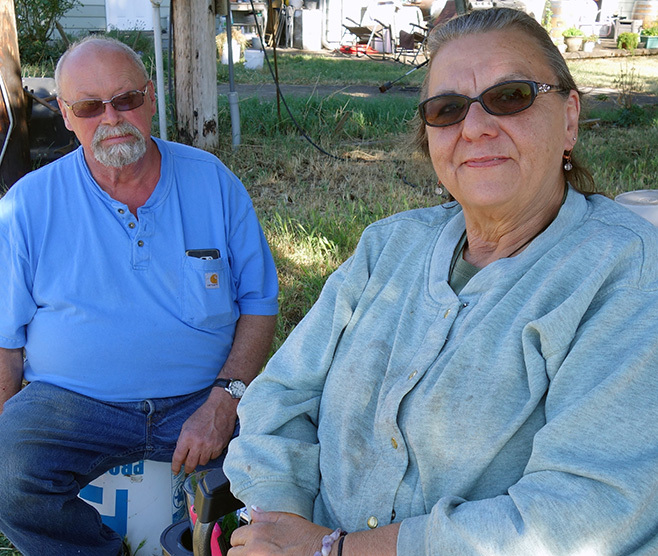 In their retirement years, Cindy and Larry have become vocal political activists. 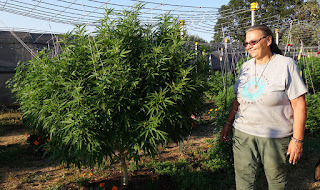 Cindy planting her strain, "Creative Lady"
After Cindy got her medical card, she spent a few years getting cannabis from a medical grower. But Larry, a native Oregonian, was raised in a farming family so it wasn't long before they began experimenting with raising their own crop. Now they've been full fledged medical growers for five years on a former vegetable farm near Salem and their lives have been transformed in profoundly positive ways. It's as though, in their sixties, they've been transported back to the Sixties, embracing the mission of radical transformation that filled that era with hope. We met Cindy and Larry at the 2017 Oregon legislative sessions, and they welcomed our proposal to document the evolution of their production cycle this year. The work itself has already been a remarkable revelation. In contrast to what the slang term "Weed" suggests, growing great organic cannabis is not easy! Between the labor intensive planting and harvesting events, there are at least five months of constant maintenance. 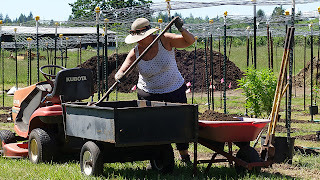 Cindy spends an average of six hours each day, tending to the needs of individual plants and the crop as a whole. With Larry's background in traditional farming and Cindy's dedication to organic methods, they have experimented with various production improvements every year and expect this 2017 harvest - the "Eclipse Crop" - to be the best yet. August 04 2017 ~ On the Verge of Flowering! In addition to developing organic compost fertilizers and insect repellents onsite, Cindy is refining her own cannabis strain called "Creative Lady" which addresses the specific needs of some cannabis patients. The delight and satisfaction she gets from caring for the plant is obvious to all. It is her gift to a community that restored the quality of her own life. Follow the Eclipse Crop through Harvest here on Budding Boomers! Get Whey High on 420! Forget Cheez-Its, 420 is the day to role the real stuff around your tongue! 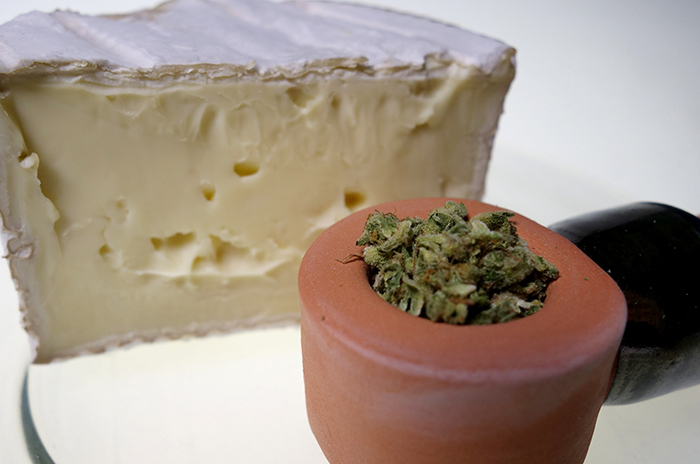 Cheesemakers have more in common with Cannabis farmers than most people realize. Like those involved with Cannabis, Artisan and Farmstead Cheesemakers are familiar with unreasonable regulation and the constant threat of Federal raids that often end in property seizures. (Forbes: FDA May Destroy American Artisan Cheese Industry). In addition, cheese has even been accused - some say unfairly - of being physically addictive. LA Times: Cheese is Addictive as Drugs. 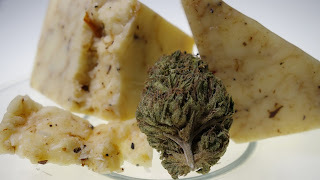 Given the current uncertainty around legal Cannabis and the monstrous growth of Corporate Agriculture, 420 is an opportune Holiday for Cannabis and Cheese to become each others best (taste) buds! 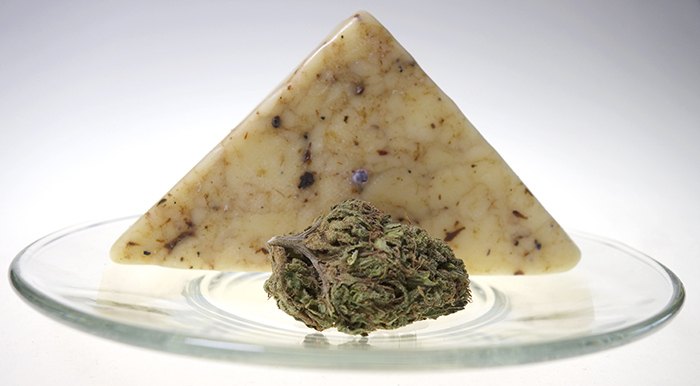 Cheesemakers have much experience to offer in navigating arbitrary business regulation and the Cannabis market is an enthusiastic audience for creative foods. Those lucky enough to be celebrating 420 in Europe might find a Hanfkäse/Tommet Di Cannabis to taste. A regular crowd pleaser at the Slow Cheese Festival in Bra, Italy, Hanfkäse is a type of Swiss mountain cheese enhanced with Hemp seeds. Though it is not psychoactive, the leaf symbol is certainly eye catching. 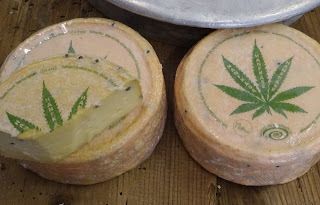 There are also some American cheeses with allusions to Cannabis. Shown at the top of this post is Beecher's No Woman, a Cheddar with Jamaican Jerk Spices. At their creamery in Seattle's Pike Place Market, Beecher's also sells a "sultry half No Woman, half Just Jack macaroni and cheese". And there's even a chance Rick Steves will be shopping there too! The winner for best double entendre, though, is Cypress Grove Creamery in Arcata, California, the heart of Humboldt county. With cheese names like Purple Haze, Sgt. Pepper, and Herbs de Humboldt, it is no wonder that its founder has lived a magically inspired life. ...Mary Keehn, a self-proclaimed 1970's “serious hippie” and single mother of four, lived in a different world. Hundreds of miles away from processed cheese and pre-packaged dinners, there was a quirky place with like-minded people who embraced healthy food - a place where majestic redwoods hugged sprawling beaches along the expansive Northern California coastline. A place called Humboldt County. Celebrating 420 deserves some version of a classic triple cream even without a suggestive moniker. The buttery ripe flavor of the Saint Andre on the left, for example, will melt into the aroma an Oregon Homegrown and enhance the pleasure of both. Thank you, Happy Valley Pipe Company, for the keepsake hand crafted clay pipe! To further elevate the Whey High experience, pair cheese selections with Cannabis infused honey and host an informal tasting party. Like wine, cheese has an established history of appreciation practices that spark conversation and enjoyment. 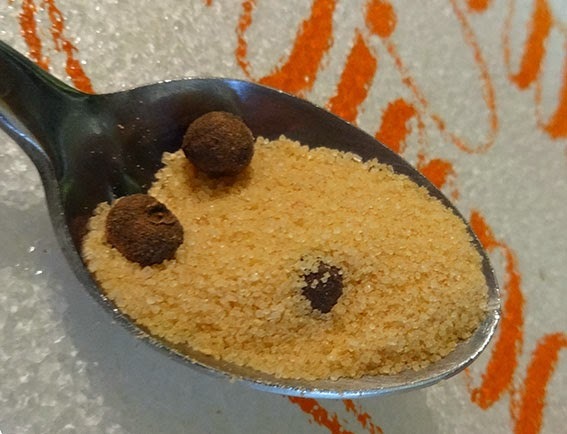 A Matter of Taste, from our travel blog, CiaoGemma.com, explains some of the biology behind our sense of taste and has a video that steps through the time honored tasting ritual. 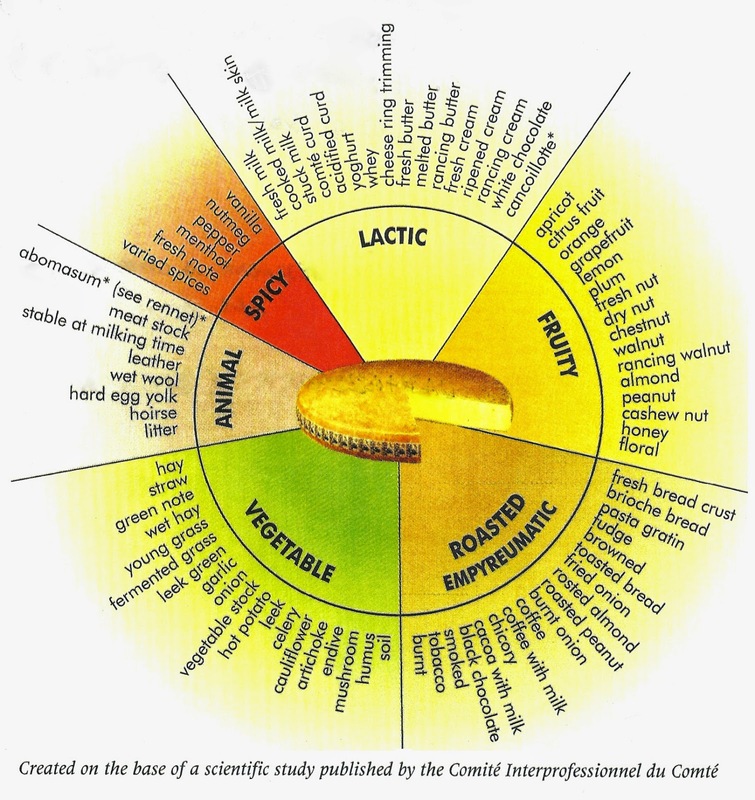 Finally, download an official Comte' Cheese flavor chart on the right to help describe this Budding Cheese adventure! For those who are Cannabis Edible curious, this is a simple, inexpensive way to try ingesting the herb. 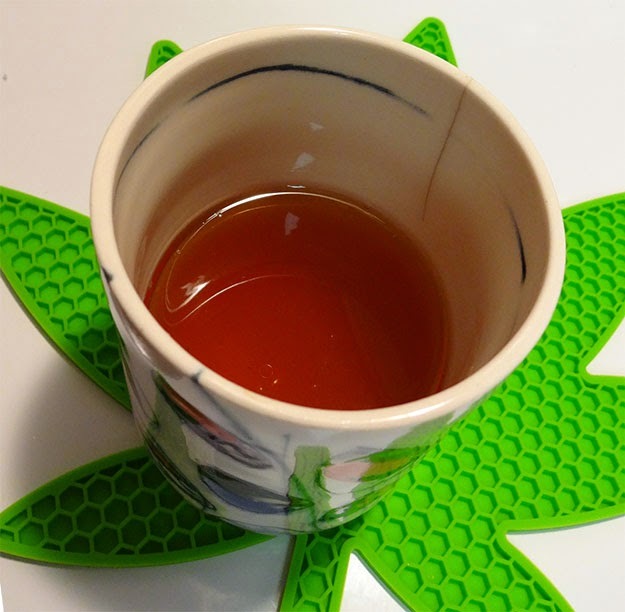 The original recipe is Delicious Stoner Tea on the Bit Coin Seed Store website. 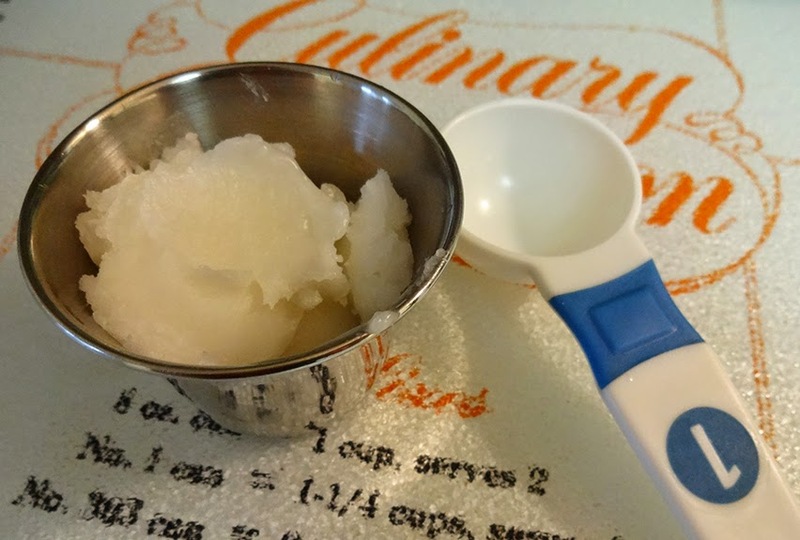 Here is a step-by-step version of the recipe with a few pointers. Scale ~ Good to have. Helps to discover your preferred dosage. 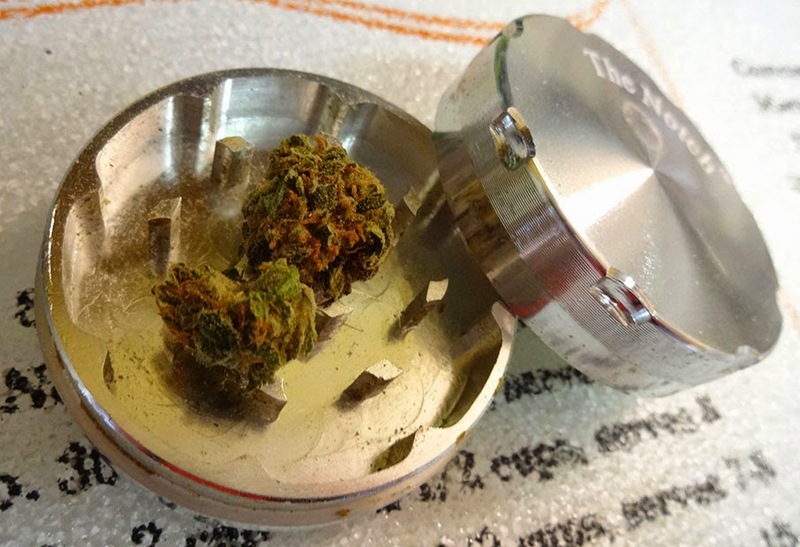 1: Grind up 0.5 grams of your favorite (or available!) cannabis flowers and set aside. 2: Pour the 2/3 cup of water into the saucepan and heat it to a boil. 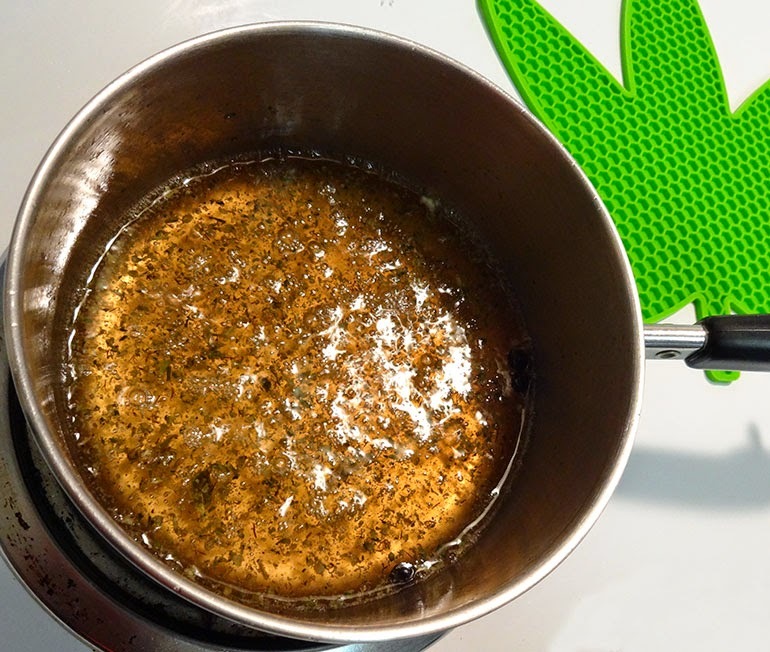 3: Add the 2 tablespoons of coconut oil to the boiling water. Note ~ Butter may be used instead of coconut oil but is a less healthy option. 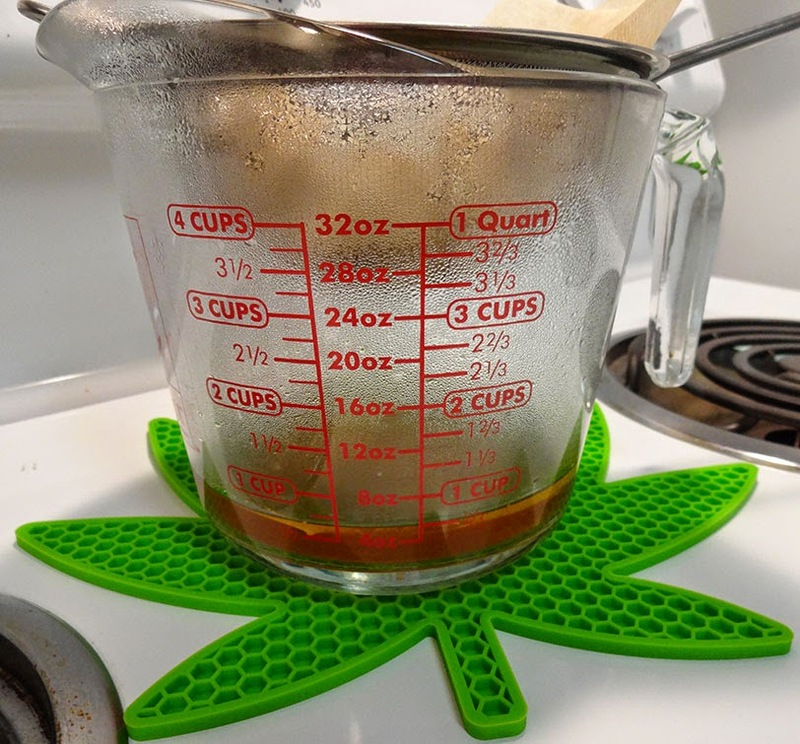 4: Add the spices and 0.5 g of cannabis to the boiling water and oil. 5: Allow the mixture to boil for a few minutes to blend the ingredients. Stir to make sure nothing sticks to the side of the pan. 6: Reduce heat to a simmering boil for 30-40 minutes. Note ~ the longer it simmers, the stronger the mixture will be. 7: After simmering 30-40 minutes, strain the mixture into a cup or other receptacle. 8: Drink, wait and enjoy! Note ~ First timers should drink only half of the mixture to start. The reason for heating cannabis in a fat (or alcohol) is to release and activate the Tetrahydrocannabinol (THC) which does not become psychoactive in water alone. Also, the more specific information you have about the cannabis used, the better able you will be to begin discovering your own dosage levels and cannabis strain preferences. Thanks to hard won legalization efforts, precise measures of THC, CBD and other cannabis elements are now being clearly shown on product labels. ED will cover more about the advantages (and requirements) of commercial cannabis labeling in later posts. So experiment, take notes and have fun! 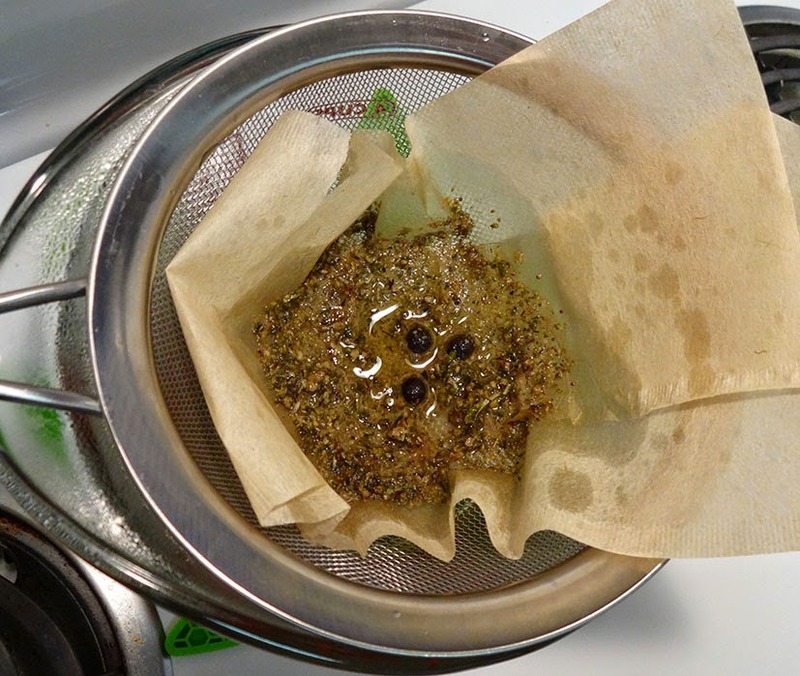 See the tea as it simmers in this video from our Cannabis Test Kitchen. A visit to Satori Spokane, one of the first legal Washington State cannabis shops to open in 2014. Workers there confirmed that Baby Boomers are the most frequent customers.